The Scientific Notes of H.S. Skovoroda Kharkiv National Pedagogical University. 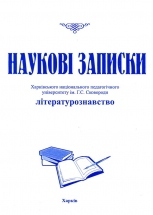 Literary studies is a specialized edition aimed at philological research. It was founded in 1997 (ISSN: 2312-1068 (print), 2312-1076 (online) but its traditions and editorial policy date back to the period of the World War II. At that time 31 issues of scientific notes were published covering such brunches of science as Pedagogy, Physics and Mathematics, Language and Literature Study etc. The 32-nd issue of the journal was released in 1951 and the publication was only resumed in 1992 with the issue of The World Literature in Secondary and Higher School. 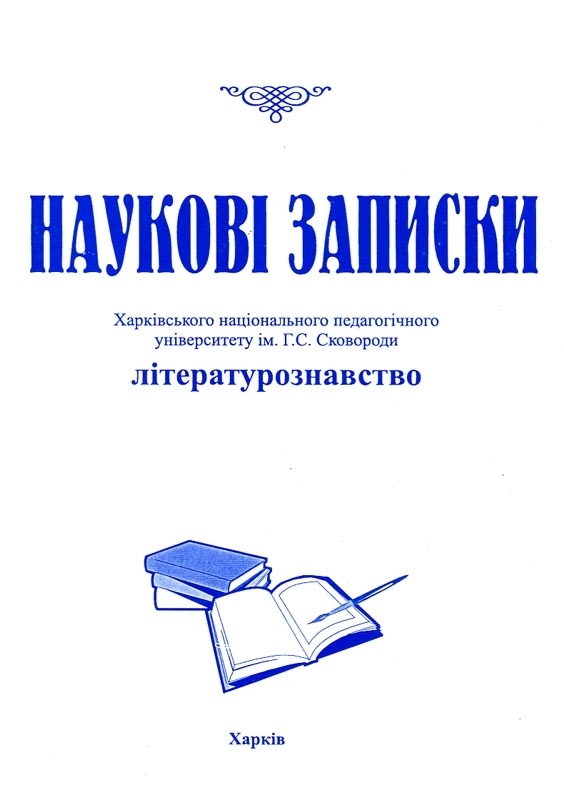 The main characteristics of the editorial policy of the journal have always included professional and academic approach to the quality of the articles approved for publishing as well as tolerant and democratic attitude to the authors, openness to discussions of modern approaches to the studying of history, development, and interactions of the Ukrainian, Russian and World Literatures. The journal is notable for publishing researches that introduce unknown or forgotten names, works, and materials to the scientific community. The Scientific Notes is a platform where young researches can publish their findings. Scientific career of a number of talented students, graduates, and post-graduate students took its start from the articles published in the journal. The editorial board believes that young scientists should nowadays have an opportunity to discuss their research works and present their ideas. Along with the Ukrainian authors that make up the majority of contributors researches from Russia, Poland, Uzbekistan, Byelorussia, Germany, Belgium and other countries express their views on the pages of The Scientific Notes. It provides a large-scale picture of approaches, views, and ideas in the contemporary Literary Studies. The editorial board of the journal has always been represented by well-known philologists who contributed much to the development of science. Ukrainian scientists at present have entered into cooperation with their foreign colleagues. Currently the journal exists as a printed edition as well as the Internet resource. Despite the fact that readership of publications in Literary Studies has decreased, community of scientists who took this path is numerous enough to develop the brunch. The Scientific Notes is a professional resource where professors, teachers of higher and secondary school, students and postgraduates working on problems of philological science can find up-to-date information on language and literature studies. Questions that are raised and discussed on the pages of the journal may attract attention of those interested in art, literature and contemporary research process.